On my first day of college, I chose a checking account because the bank was handing out free Frisbees. This was my only bank account for nearly 20 years. Eventually I opened a savings account at the local credit union. Then I discovered the benefits of a high-yield savings account. Last autumn I opened my first certificate of deposit. And just a few months ago, I started a money market account. Why so many accounts? To me, each bank account serves a specific purpose. Not every account is suitable for every need. Though not everyone needs (or wants) as many bank accounts as I now have, it's still a good idea to make sure you're using the right tool for the job. Many small community banks and credit unions around the United States offer a special “rewards” checking account, a product administered by a company called Kasasa. These accounts carry restrictions and requirements (you have to make 10-12 debit purchases each month, the rate only applies to the first $30,000 or so in your account, etc. ), but if you meet them, it's tough to beat the returns. I tried to maintain a rewards checking account at a local credit union, but ultimately it didn't work for me. The credit union was too far away, and I wasn't meeting the transaction requirements. Here's a huge list of rewards checking accounts by state. There are still checking accounts that offer 6%! Like most personal finance bloggers, I'm a fan of online high-yield savings accounts. While traditional banks and credit unions are offering a pittance on their accounts (my credit union's “high-yield” account is at 0.10%! ), you can still find rates above 1.50% through online accounts at CIT Bank, Ally Bank, and others. Targeted savings — Opening multiple accounts at ING Direct is easy. It's a great way to save for multiple goals at the same time: a vacation, a new car, and Christmas gifts, for example. An emergency fund — When I first started my emergency fund, it was important to me that it be a little difficult to access. An online savings account was perfect because I can't just decide on a whim to spend $10,000. If I want the money, I have to wait a couple of days for it to transfer to my main account. Perfect for an emergency fund. Online high-yield savings accounts are a great way to save. Interest rates are low right now, but as the economy continues to improve, yields will rise. As an alternate to an online high-yield savings account, consider a money market account from a brick-and-mortar institution. Until recently, my credit union offered an account with interest rates that were competitive with ING Direct. Now, however, they've dropped to under 1.00%. Money market accounts require higher minimum balances than savings accounts. My credit union requires a $10,000 minimum deposit on a money market account, for example. Their minimum deposit for a savings account is $5. Some money market accounts allow limited check-writing privileges. They often limit the number of withdrawals per month. A money market account can be a great choice if you're attempting to consolidate all of your accounts at one bank, or if you're wary of using an online bank. Certificates of deposit (often simply called CDs) are time deposits. You give your money to the bank and then promise not to touch it for a specific length of time. In general, the longer you agree to let the bank keep your money, the higher the interest rate you'll receive. Unlike a savings account, once you put your money into a CD, the interest rate does not fluctuate. If you open a 6-month CD at 3.50% and interest rates drop, you earn 3.50% the entire six months. If certificates of deposit offer higher returns than a savings account, then why doesn't everybody use them? The primary drawback to CDs is that they're less liquid than a savings account; you can't just move money in and out of them without penalty. You can take your money out of a CD before it “matures”, but you're docked interest when you do. In fact, many (most?) banks penalize the interest amount, even if it isn't earned (meaning you could lose part of your principal if you close your CD early). Despite these limitations, CDs are great place to put money you don't expect to need for a while. For most folks, a CD ladder is a good way to maximize returns. If banks are not the right fit for you, there are other services out there such as peer lending. Peer lending services, such as Lending Club match people looking for a personal loan with people who are willing to fund it. Lending Club isn't FDIC insured, but offers rates between 7%-9%, which are significantly higher than banks. What do you need the account for? Long-term savings? Business? Personal? Every-day use? How much will you keep in the account? Some accounts have minimum deposits in order to get the best interest rate. For example, my credit union's money market account requires a $50,000 deposit in order to get the top rate. How liquid does the money need to be? If you need quick and easy access, you're best served by local brick-and-mortar banks. If you don't mind a small delay, online banks will work. And if you can let your money go for months (or years) at a time, a certificate of deposit might be your best choice. Do you need easy access to the money? Do you need a lot of ATMs? I tend to think that for day-to-day use, it's best to have an account with a local brick-and-mortar bank. But for substantial savings, I've found it useful to create barriers. If I don't have easy access to the money — if I have to jump through a few hoops to get it — then I'm less likely to spend it frivolously. How important is online access? How important is privacy? All banks should meet certain minimum privacy levels. But you give up a little of that if you have a regular bank you use. 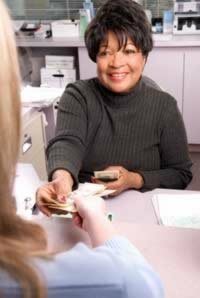 At my local credit union, for example, I tend to get the same teller quite often. She remembers a couple of past transactions because they were unusual. This doesn't bother me, but I know it would bother some of my friends. If you need maximum privacy, take this into consideration. Ten years ago I had a single bank account. Today I have five, including each of the above. (My fifth bank account is a business account.) Each account serves a purpose. Picking a bank account is like choosing the right tool for a job. Sure, you can beat a nail into the wall with a screwdriver — if that's all you have. But you'll do it a lot faster and with more precision if you use a hammer. The same is true with money. Use the right tool and you'll get better results. How many bank accounts do you have? Do you try to keep things simple? Or do you spread your money around many accounts? Any tips or tricks to share with other GRS readers? There are 53 reader responses to "How to Choose the Right Bank Account". I used to think I had a fairly simple system of very few accounts, but that’s not the case. I have two checking accounts and four savings accounts. 2. Use something like Mint.com to see them all in one place so you can get a high-level view of what your finances look like. I like to keep my system as simple as possible. I have a regular checking account that my paychecks get direct deposited into. From their I transfer money to my ING savings account, my IRA and my stock portfolio. Sweet and simple is just how I like it. It seems that even when a banker is careful, he or she is likely to make mistakes. It is important to consider what these mistakes will cost you in terms of fees. I used to only look at fees that were part of the normal cost of the account (for example, a checking account that had a monthly fee would be something to avoid). But, when you open an account, you open yourself up to a host of potential costs. It makes sense to consider this fee liability of an account. For instance, two accounts may have the same normal fees (or both be “no-fee”). 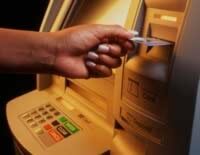 But, account number two may have a higher overdraft fee or too many transaction fees, or out of network ATM fees. This would mean that account two has a higher fee liability. In this case, I may pick account one even if it has a lower interest rate. As has been said before on this site, chasing a good interest rate (or rewards) is only part of the equation. Lately, I worry more about the fees that may start chasing me. But once that emergency fund is funded, I will likely open a second savings account (or two) in on online bank like ING for short & long term savings goals (new car, house down payment). Once those are funded and I have built up enough, I could take on either a money market or CD. Whether it was intentional in your post or not, I actually like the idea of these serving as sort of goal post lines. I seriously looked into a rewards checking account from a local credit union. I liked everything about the features except for one fatal flaw: They want me to make too many (12) debit transactions every month. I always use my credit card for nearly all my transactions, so I went to my credit card’s website to track how many transactions I do in a given month. Half the time, I don’t even DO 12 transactions in a given month. So for me, it would be way too much work and hassle. Now if they lowered it to, say, six, I may be interested then. I understand that having multiple savings accounts helps keep things organized by having one account per goal, but I’d rather have just one account to generate the maximum interest from it by taking advantage of the compound interest. It doesn’t bother me that my emergency, escrow, new car savings, ect. are rolled into one account. I’m getting really competitive rates with a product called easyGROW Checking at First Bank & Trust. You can go to http://www.easyGROWchecking.com for the info (including the current interest rate); but to summarize, it is a free high-yield account that also offers ATM fee refunds when I meet the three qualifications: using my debit card at least ten times, receiving e-Statements, and having a least one direct deposit or automatic payment each cycle. I do all of those things anyway, so it’s been really easy for me to qualify…and they send me an email each month to let me know if I met the qualifications. I have to admit, I love not having to worry about whether or not an ATM is on my network, and the interest is already starting to add up. It only takes $100 deposit to open the account, and there is no minimum balance. It’s amazing how many people don’t have any checking accounts. Glad to see you describe different accounts, but the major lesson is that checking accounts are necessary to announce to the world that you are fiscally responsible. Budgie @5 – there have been a lot of discussions about splitting your money up into different accounts that bear the same interest rate versus keeping it all in one account, and the consensus is that it makes absolutely no difference to your total interest income. So if you like the idea of having separate accounts (at the same interest rate), go ahead and do it! JD, I assume you are lumping all your ING accounts into “one” account out of your list of 5. I personally have 4 ING savings accounts (2 for savings goals, one that I consider pet insurance, and one for “surplus & fun money” – I use this one to shuffle money back and forth from my checking account). I have a free checking account at a brick & mortar bank (with a lot of online capabilities), and also a mutual fund that holds my emergency fund, and lastly, a few Roth IRA accounts. Altogether, my money is at 4 different institutions, but that works fine for me because the checking account is the only one I check with any regularity. Everything else is automated (or was too depressing to look at, as in the case of the stock market accounts in the last year). Before I worked in a bank and still today, I believe one of the most important requirements for a bank is to have a real relationship with your banker. Now, I do have an ING online account, but nothing can beat a good solid community bank. Many people mention watching out for “hidden” fees or odd stipulations on accts. While I understand these comments, I would guess they are banking with large National Banks. With most community banks, you can actually sit down with a banker, ask questions and get real answers. My bank, like many, offers direct email, online chat and direct phone lines – not just 1-800 numbers!!! You mention that your emergency fund is a little difficult to access, and that this prevents you from spending it carelessly. I essentially do the same thing — we put extra money into an ING savings account each month and that’s our savings for a down payment on a house, but in the event we ever NEED money (illness, car breaks down, etc…) that would also be our emergency fund. My fear is that with ING (and possibly other online accounts), it takes two days to get the money into another account. Sometimes, emergencies (by definition) require instant access. I suppose I could move money into the ING checking and either visit an ATM or charge the express, but what if neither is an option? Just wondering how you deal with the potential dilemma of having an emergency fund: (1) not too easy to access, (2) earning interest, and (3) not too hard to access. I wonder if there are differences between accounts in the US and in Canada. For example, I have both a “checking” account and a “savings” account, but they are functionally identical. I can write checks from both of them, they both have overdraft protection, and deliver minimal interest return. I pay no fees on either account. Let me stress that: I pay NO fees, at all, ever, on either account. No monthly fee, no fee when I use my debit card, no fee to visit an ATM, no fee for automatic withdrawals, bill payments, or paycheck deposits, no fee for accessing my accounts online. No fees at all. As I understand it, fees are an accepted part of the deal with accounts in the US. If I were to write a physical check, there would be a small fee. However, since all my savings are automated, and all my bills either come out automatically or can be paid online, I haven’t had to write a real-life check in years. One account (“Savings”) sees all the action. Both my wife and my paychecks are deposited there, and all of our bills come out of it. The other account (“checking”) has some money automatically transferred into it each month and is used for some medium-term savings goals (emergency fund and vehicle replacement). No money ever comes out of this account, except manually, for either of those two purposes. The only difference is when I go to an ATM, they have different names so I can tell which account I’m taking money out of. I wonder what the differences are in the US. Do we really need “checking” and “savings” accounts anymore? Why not just have one type of account, which you use for everything, including writing the occassional cheque if necessary? Oh, and one other difference I’ve noticed. In Canada, we don’t have “CD’s.” I went to my bank and asked for one and she had no idea what I was referring to. Up here, they’re “GIC’s” (Guaranteed Investment Certificates). Same idea though. I’ve had #1 and 3 for 5+ years, since my wife and I combined finances, the rest have been opened within the last 2-3 months. I have a crazily complicated system because I find it really helpful to have my money separated into different virtual piggy banks! For me, the key part is keeping money that’s available for daily expenses like gas or groceries separate from my bill-paying money. It helps me in two ways: it saves me the mental energy of trying to figure out how much I can spend all the time, and it keeps me on a tight budget because only the money I have budgeted for those categories goes into that account! I don’t think it’s wise to have an emergency account that you can’t immediately access funds from. I currently have three accounts. Checking and savings at my “main” bank and a savings with my credit union. I’ve been researching online high interest savings for awhile now just haven’t taken the jump. I love my small town banks because of how I am treated – but when it comes to technology it can be frustrating. I’ve considered switching to a big name bank just for the fact that I can use a system like Mint to track things better online, at any time. I agree with the post. I have a few bank accounts. Each serves a specific purpose and is linked with my checking account. It seems like my number of accounts keep growing as years pass by. 1. I looked at your linked post regarding the other high yield online savings account. I did not see HSBC online savings account listed out there. I use it for as emergency/ goal specific savings account (current APY: 1.45%). It has been really convenient for me to move $ around or park it for a while. Again opening multiple accounts after my first account there was easy. 2. I am going to digress here a little bit. I have a credit card with reward points. It serves the same purpose for me as the rewards checking account though the return is not as high. As long as you pay the credit card balance off every month, this might also be a good option. 3. I haven’t tried the CDs yet. For some reason, I am reluctant to lock my money even for 6 months. May be I will look into a CD this weekend. I don’t know about JD but I also keep my emergency fund locked up in an online savings account. To address immediate emergencies I keep $400 dollars in my checking account. When balancing my checking account I count that $400 as zero and balance from there. If I go under it I consider myself in the red. That would only be if I really needed cash for the emergency otherwise I just charge it to my credit card and move the money to pay it off. I have considered in the past keeping a few hundred dollars in cash on hand in the case that my area were to lose power or something crazy like that for a few days. I just haven’t gotten around to it. Good post. I did have quite a few accounts for a while (multiple high interest savings and a tax-free savings account – Canadian), but since I’m still in the process of debt repayment I decided to just simplify a few months ago and close all but one savings account and my chequing. I just find it easier that way vs. having a separate fund for each savings goal since my goal is to be 100% debt-free in 6 months, not save for XYZ. I’ve been with my bank since I was 17 and have always received good service. There are zero fees w. the high interest savings account, and my chequing has a modest monthly fee and even gives 3 rebates per month of fees associated w. going to another bank’s ATM (which occasionally comes in handy if i find a place that doesn’t take debit and I am not carrying a credit card). Once I’m out of debt I will look into what kinds of investment and/or money market etc. accounts to open, but for now, simplicity works for me! @Kate: I personally wouldn’t wait to build up your savings before progressing on to higher interest accounts, CDs, and then investing (the next logical step). Start taking advantage of compounding interest as soon as possible, because with no extra effort on your part your money will grow faster over time. Do build up your emergency fund, but don’t wait to put your money in higher interest accounts! I just want to make sure of something: if you’re opening multiple savings accounts at someplace like ING, EACH of those accounts is limited to 3 withdrawals every 6 months, not all of them, right? For example, say I had four savings accounts, I could potentially make 12 withdrawals during that period (three from each account). I would not be limited to three withdrawals from all of my ING accounts, right? Simple question, I know. But I want to make sure. Thanks! @12: Kevin, It sounds like you actually have two chequing accounts, one labelled ‘savings’ on your ATM card. At a major canadian bank (not online), I pay fees on my chequing account, and get unlimited transactions and the like in return, and it gets zero interest. For my savings account, there’s no charge, and it receives interest (although very little right now, since interest rates are in the hole), but I’m only allowed two withdrawls a month for free. It sounds like you’re using PC Financial or something, and they have very different fee models. I use my ING account to funnel money around since it can link to up to 3 other accounts. I also have a rewards checking account and am able to meet the requirements of 15 signature based debit card transactions per month. I do this by knowing that I usually make about 20 purchases per month under $20, so, I put all of those on the debit card and minimize the amount of money coming directly out of my account. I also maxed out the deposit requirement to get the maximum return. The rest of my purchases I put on a rewards credit card which I pay off every month then get about $200 per year cash back. Currently these 2 procedures are creating over $1000 per year of extra income in a very passive way. I have too many accounts and I am trying to consolidate, but I have issues with ING and IGOBanking. I like IGObankings checking interest rate, currently 1% vs. ING at 0.25%, but ING’s electric orange is so nice and easy. Plus ING’s funds get their faster and are avaiable to be used sooner. It seems IGOBanking.com take an extra couple of days to even get there, then another 3 days to be ‘available’ even when it was deducted from main account almost a week prior. Frustrating!! I have 6 bank accounts. I never wanted this many, however running 2 businesses required me to set up 2 business accounts and one business savings as an overdraft. I also have a high-interest online savings account. @ Kevin — I think it depends on where you bank. I deal with two different institutions. One is no fees at all (PC) and the other has fees (though I avoid paying them by staying below the transaction limit and keeping the minimum balance). I agree with the comment that you might have two chequing accounts. I can’t write cheques from any of my savings accounts at either institution, or access them from my debit card. I do have a second cheque account at one bank that is listed as “savings” on my debit card. Years ago, my student line of credit used to also be listed as “savings” on my debit card. It’s just a designation and has nothing to do with the account. I’m glad that I’m not the only one who juggles several accounts. 1. Linked checking and money market accounts at a brick-and-mortar bank. Whenever I make a deposit that doesn’t have withholding, I transfer a percentage of my income to the money market account. When quarterly taxes are due, I use the money market funds to make the payment. So that account is essentially swept every three months. 2. A money market account with Vanguard, including check-writing privileges. This is my emergency fund. 3. Savings accounts with ING for Christmas, vacation and car replacement. Then a variety of investment accounts with a few different companies, but that’s another topic. There are no restrictions on the number of withdrawals you can make from an ING savings account. I’ve been saving with them for years, and just double-checked their FAQs, nothing like what you describe anywhere. I have a checking and savings account at a brick-and-mortar bank which I’ve had for years, but they got bought out last year and I’m slowly starting to hate them. I’m switching most of my banking to ING Electric Orange, which my sister has used for years and raves about. I have a whole mess of savings accounts and a CD with them for various purposes. I also have a Roth and a conventional IRA, at two different institutions. I’ve considered consolidating, but there doesn’t seem to be any burning need. As so many people have already commented, having accounts with multiple banks can be a great way to maximize your money since one bank might have the best savings account rate while another might give you the best deal on a credit card. I work for PerkStreet Financial – a company that will be introducing an online checking account with a debit card that gives you 1% back (more than 10x the national average). For people who want to earn the most back for using their debit card, a PerkStreet account makes sense as long as you don’t mind getting your credit card and savings accounts elsewhere (we don’t yet offer these). I have 4 checking accts that get 5% interest on up to $25,000. You do have to have on line statements, one electronic transaction and use your debit 12 times each. I have my check deposited in 2 accts and my house insurance and car insurance taken out of the others. I didn’t know if I could handle the debits because I didn’t use a debit card often. Now I use it for everything. I also buy things for my job with my debit and get reimbursed from our petty cash at work. Wow. I didn’t realize that you could get such high yields on any FDIC/NCUA insured account, let alone a checking account. Why would you even keep the other ING/HSBC/whatever accounts with 4-6% interest on your checking? I would be OK changing some things around to do the debit transactions but moving my direct deposit across would require redoing my whole automation system. If only I could get my credit union to offer this account. Incidentally, how are Bancvue and the offering banks making money on these rewards checking accounts? 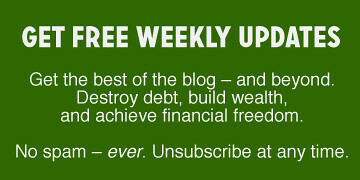 @E – I believe every “savings” account has a withdrawal limit imposed by federal law. JD – Not sure if you saw one of my posts, but it is entitled “Going Broke To Win Big”. Essentially, I have 3 bank accounts: 1) operations like checking/bill pay, 2) savings, 3) debt like mortgages. By NOT co-mingling funds, you never run the risk of wasting money. And by choosing seperate banks, you OPTIMIZE the returns of what you want respectively i.e. online banks for best CD rates, boutique bank for best customer service, mega bank for most amount of ATMs and best online website etc. I have been at the same brick and mortar bank my family uses and enjoy the money market account because it’s with the same bank and the interest rates are the same as online accounts so I don’t want to switch yet. I’m addicted to bank accounts. I currently have 3 checking accounts and 3 savings accounts, and as of today only about $1600.00 in all of them combined. Although I am on the verge of closing my Chase checking and savings accounts. I recently took up the ING offer of opening an Electric Orange account with a $50 bonus for using their check card 3+ times in the first 45 days. For a limited time, we’ll even give you a $50 account bonus. To get it, just open a new account using the promotion code 50ELECTRIC and deposit $50 or more before 9/15/09. Within 45 days you will see a $50 bonus in your newly opened account. I just recently changed banks because of the online process. I was with a local bank for over 10 years and used their online banking. It was clunky and slow moving, and I had an ING account which was a lot easier to move around it. I think the online system that the bank matters as well as the return. If I cannot see past 30 days then I have a hard time justifying that bank. For those of you who think an emergency fund should be instantly accessible, can you think of any examples when you would absolutely need to access your emergency fund within 30 minutes? Personally, my emergency fund is at a brick & mortar which I purposely do not have an ATM card for. So I can instantly access my money any time the bank is open. But offhand I can’t even think of any true emergency that couldn’t wait 2 days for an ACH transfer. Thanks, Kevin M, I had no idea. I thought I was shifting money around like crazy but I guess I never did enough to trigger a notice like that. Still, 6 withdrawals per month is way more than the 3 every 6 months that pd was concerned about. With all the talk of emergency funds, I can’t help but think of the “this was strictly my shakedown and kidnapping money” line from the movie casino. I too was trying to think of what couldn’t possibly wait a couple days, and for me it pretty much comes down to that which could not be put on a credit card — which these days isn’t very much. But if you don’t have a credit card (or do, and don’t have a very high limit) I suppose it could create some problems. it after I have the cash in hand. (I don’t even use the checking accounts to pay bills. [email protected] B. and your quote from “Casino”. Viewpoint Bank (out of TX) recently had an offer that was paying 4% on a checking acct. A few qualifiers, but nothing out of the ordinary. I too only had one bank acct. for quite some time, until I became tired of my money not doing anything for me. I currently have 5 accounts, all with great sign up “teasers” (made $300 in signup bonuses alone). As long as you’re organized and you make sure its all fee free, the sky’s the limit! I have 4 accounts.. 3 in brick and mortar and 1 in ING. Should I build my emergency fund and savings to pay off debts separately? Darn, I just opened Electric Orange yesterday and now I see the 50ELECTRIC promotion. Oh well, they still seem like they’ll be a better deal than my current no interest checking account. I’m excited, which doesn’t happen often when I think of banks. Andrew, Dave Ramsey recommends you build a baby emergency fund of $1,000 before you attack your debt. You want to keep that $1,000 fund available in case your car break downs or some other emergency. If not, you’ll have no cash and will end up pulling out a credit card to bail you out. That kind of thing can be enough to disrupt your mental diligence towards working on your debt. I have an emergency fund that I keep feeling tempted to just throw at some small debts to make them go away, but so far I’ve resisted. I will be 60 on my next birthday, so you can surmise that debt, etc. is not a big problem for me. I do have a home equity line of credit that was opened to provide funds for several of my children. One was to buy land, a house that was moved to the site, and improvements for a son, the other is for my youngest daughter’s college needs. I won’t bore you with further details of each ones needs, but it was the most economical way to get the needed funds. Currently the HELOC is at 4%, much better than any other funds that I would have access to, although it has been as high as 7% in the past. At any rate, the children are paying on their debts as they can, so that is not a problem, and the account balance is manageable. I have a checking account into which my paychecks are deposited automatically. All household expenses are paid from that one account, by check, because I am old fashioned enough to want full control of what goes out of the account, and when. I have a savings account with the minimum required balance to get interest, $100. Everything is at our local credit union, where we have done business for years. I have several credit cards, which are used responsibly, rather than carrying a lot of cash, and the balance is paid in full each month religiously. My wife has a debit card, which is used only at a local discount grocery store that will not accept checks or credit cards. That is the only place it is used. I am making every effort to pay off the HELOC balance as rapidly as possible. When that is accomplished, I will probably try setting up a CD ladder, but to me it makes far more sense to pay off the HELOC, even if the interest rate is only 4%. To sum all this up (and not let this get any longer) we have two accounts, one institution. How can it get any simpler than that? Yeah I missed the 50Electric promotion too. Bummer. Still happy with the account though – I just moved my direct deposit and automatic mortgage payments to that account so we’ll see how it goes. I have accounts in three different ‘Brick and Mortar’ banks / credit unions and one in Ing. Each account has a purpose, and with online banking, I balance each one that needs it a couple of times a month. Each account only takes about 5 minutes to balance, as I do it so often. Several years ago, I shifted around all of my regular bills, and had them automatically paid each month. Each payday, I have a payroll allotment deposited directly to the bill pay account for approximately 1/2 of the monthly bills. A couple of times a month, I check the account to make sure there are no surprises, and I check each statement when it arrives, again to make sure there are no surprises. Since I have been doing my monthly bills this way, my credit rating has gone through the roof!!! Our local banking is completely controlled by geography. There is only one branch close enough to both of our jobs that we can get there during our lunch breaks, and since banks are open about twenty minutes a day it’s go then or not at all. I’ve yet to find an online bank that can move money as quickly as I want, so for now I’m in a holding pattern. Waiting two or three days each way to move cash is ridiculous in this day and age. I just discovered that my bank has a special account for folks 50 and over. I went in and now get interest (a whopping .05%), free safe deposit box for a year (and half price afterwards), free checks (goodbye Laura Ashley designer checks! ), free notary services, and many, many more benefits. Age has its privileges afterall. I really wish there was a bank that could do it all, I really want to manage all my accounts at one bank. However, in order to maximize on interest rates I have to diversify. I have 3 checking accounts, two savings accounts and one brokerage account (IRA). Does anyone have everything consolidated at one bank? Great post– well thought out. Thanks for sharing. Thanks for the tips. There are so many options these days that it can be overwhelming…and the fine print and fees are very sneaky!